Will (aka DJ INDO) started his radio career as an intern in promotions, eventually working his way up to joining the On-Air team at Z90. You can hear him every weekend from 6am-10am, with surprise shows during the week. 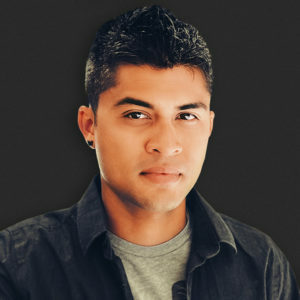 Originally from the Hollywood/Pasadena area, he has been able to pursue his Radio career in San Diego with Z90. After working in the restaurant industry for over 9 years, Will was able to achieve his dream of being an on-air personality and is excited to call Z90 his home. When he’s not On-Air, you can catch him out at a Festival trading Kandi (P.L.U.R.) with fellow ravers or in the mix at various events throughout SoCal.